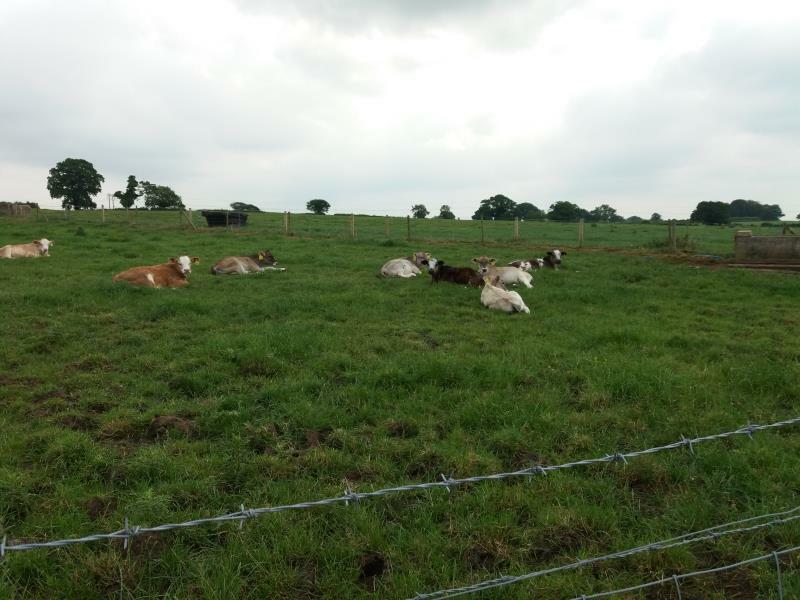 Phil Latham is a dairy farmer from Cheshire who farms 550 acres at Kelsall Farm and farms 450 acres of tenanted neighbouring land at Brook House Farm, housing a 500 head herd of Brown Swiss cattle. 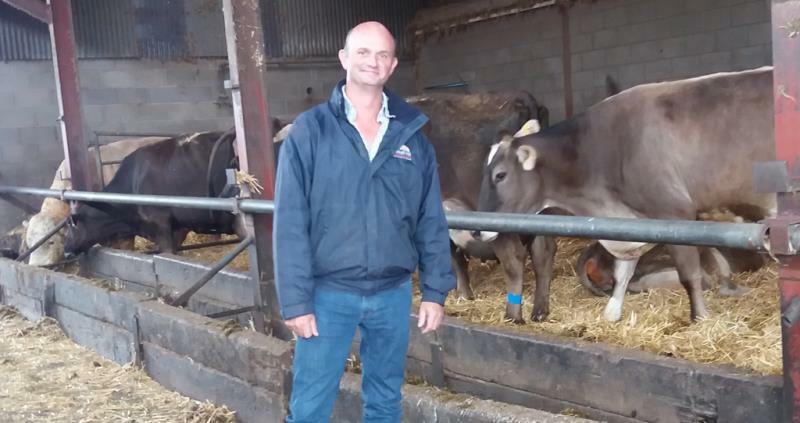 Back in 2004 Phil took the decision to reduce his herd of 850 Brown Swiss dairy cows to 500, in a bid to consolidate management of the dairy business to one site and explore diversification/ investment opportunities at the site he owns. Kelsall farm has undergone a huge transformation since then and now supports three businesses, including commercial lets, a prestigious equestrian centre, a platform for feed production and young stock rearing units for the heard at Brook House. The dairy herd remains at the heart of the family’s traditional interest with all the other activities operating in a holistic approach around the core farming practices. Phil needed a nutrient management plan that worked across both sites, and after using many different nutrient management plans, he developed his own. His plan is a simplistic approach which echoes many of the principles of the Tried and Tested plan, with the key feature of communicating the data into a concise manner so that tractor operators can see what needs to be applied on a practical field by field basis, but on a larger scale Phil can see the value of the manure for the whole farming system. 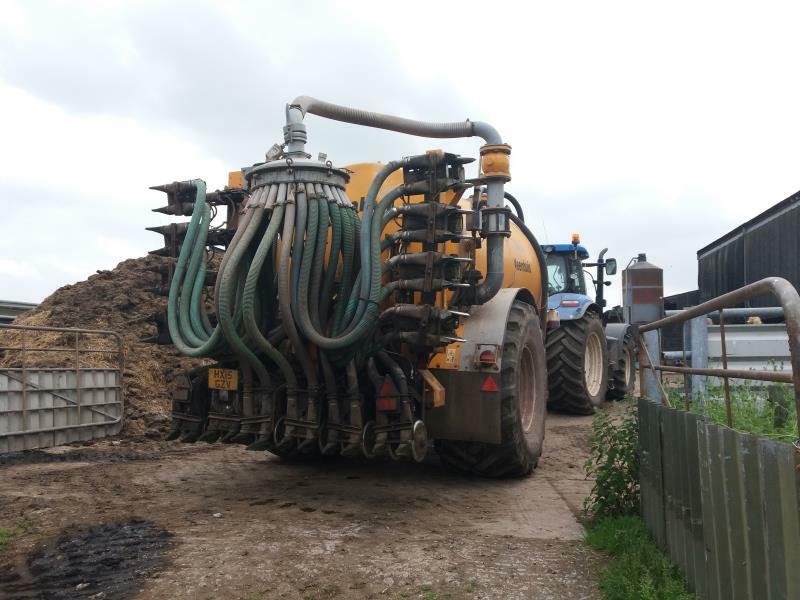 Whether it is slurry from the cattle, a neighbours pig muck or the horse manure generated from the equine business, a variety or organic manure input is used across the two sites. Their various nutrient values are analysed and the plan and calculates what is required to grow a high quality, high yielding 70 acre plot of feed maize for the cattle. Phil uses a Quantofix to test the Nitrogen level of the slurry stating “it is of huge importance to me to understand what I am putting on” for highest productivity and efficiency for that crop. Phil explains that currently the pig slurry has lower value at 1.2-1.4 units of N/ m3, compared to the book value for pig slurry which is 2.3-3.4m3, the cows producing 1.2 units N/ m3, but by utilising a plan and applying organic manure appropriately he has improved productivity within his herd, reduced the use of manufactured fertiliser, and thus saved money. He believes that whatever system you operate there needs to be a focus on ensuring that nutrient management is done well to deliver economic benefit, animal nutrition and reduce environmental risk. As well as supporting two very different business activities, the two farms have very different soil types, and that has dictated the way Phil spreads his organic manures. For slurry spreading on his clay soils that are more prone to compaction, a lighter tractor with lower ground pressure and an umbilical spreader system is used, thereby reducing soil compaction and runoff. In contrast, on his lighter sandy soil, a heavier combination of slurry tanker and tractor with a more efficient slurry injector can be used to maximise nutrient input and mitigate against valuable N losses in the form of ammonia. Using the slurry injector directly incorporates the slurry into the soil, and helps Phil return the fields back into the grazing rotation quicker than if they were spread with a band spreader. Phil takes ownership of his plan and keeps a keen eye on monitoring. The farm has been in an NVZ since 1996 and locally nitrates in the water are still a huge concern, so it is paramount to Phil that he is stringent and responsible with the spreading activity and slurry storage on the two farms. Under Phil’s permission, united utilities have installed a 60m sampling borehole to monitor nitrate levels, and Cheshire wildlife trust have been onsite to test the impact of the farm in comparison to the impact of a local sewage treatment plants from domestic supplies which prompted the sewage treatment plant take action on underperforming equipment allowing nitrates into the watercourse. The farm is in a Mid-tier stewardship scheme this has provided opportunities to improve the farms environmental credentials. Over recent years the farm has planted 1km of hedge, 2 acres of woodland, various buffer strips and installed two large water treatment pools on the lower part of the farm to enhance water quality, provide habitats to encourage biodiversity whilst adding a water complex feature to the already impressive cross country course. Other actions taken for environmental measure have included revoking a redundant sand bottom slurry lagoon and concreting over old internal slurry stores. So far, all these improvements have allowed Phil to observe indicators of improvements such as fish returning to the brook on the farm due to the improvements in water quality. It is a credit to Phil and his business how holistically every aspect of it works together; innovative machinery, intuitive software, agri-environment schemes and diversification opportunities. 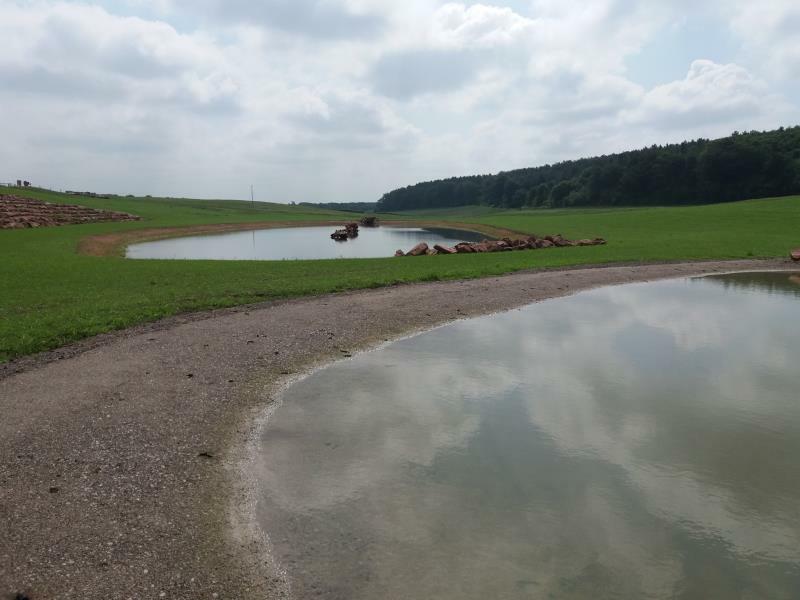 But at the heart of it all, a simple and effective nutrient management plan, coordinating every bit of activity, saving Phil money and time, demonstrating compliance, keeping watercourse free from pollution and ensuring that optimal livestock performance is achieved.